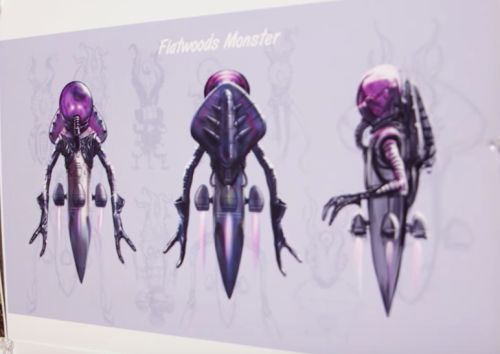 The Flatwoods Monster (or also, Braxton County Monster or Phantom of Flatwood OR Green Monster) is a supposed alien that was sighted in Flatwoods in Braxton County, West Virginia. Around 7:15 PM on September 12, 1952, Fred and Edward May were two boys who were playing outside with their friend Tommy Hyer. They all saw a bright light in the sky and land on the property of farmer G. Bailey Fisher. Ed and Fred told their mother Kathleen about it, and together with their dog Rickie, their neighbors Neil Nunley, Ronnie Shaver, and National Guardsman Eugene Lemon - they all went to inspect it. They reached a hill when Neil said they saw a red pulsating light. Eugene pointed his flashlight and saw "a man-like figure with a round, red face surrounded by a pointed, hood-like shape". Kathleen May described the figure as having "small, claw-like hands", "clothing-like folds," and "a head that resembled the ace of spades". The creature made a hissing noise and glided towards the group. Eugene dropped his flashlight and they ran away. Rickie had already ran away whining immediately upon seeing the creature. This is the most well-known artist' rendering of the creature. After the sighting, they smelled a "pungent mist" and felt nauseated. On a separate note, the local sheriff and deputy were investigating reports of a crashed aircraft. They searched the site of the reported monster but "saw, heard and smelled nothing". The story became national news, with the national press service rating it the #11 story of the year. A minister from Brooklyn questioned the May family. A special reporter from Pittsburgh interviewed them. And of course, leading writers in UFO phenomena flocked to the area. 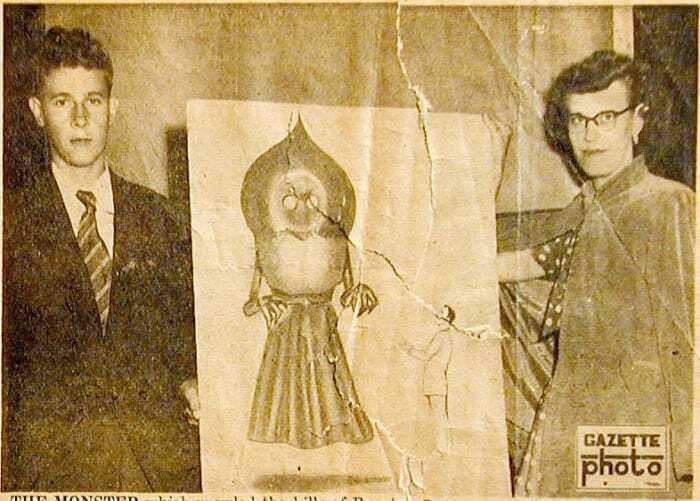 Eugene Lemon (left) and Kathleen May (right) with the famous sketch. After investigating the case in 2000, Joe NIckell of the Committe for Skeptical Inquiry concluded the following: The night of the September 12 sighting, a meteor had been observed across three states—Maryland, Pennsylvania and West Virginia. Three flashing red aircraft beacons were also visible from the area of the sightings, which could account for descriptions of a pulsating red light and red tint on the face of the supposed monster. The creature itself was nothing more than a barn owl, whose face resembles that of what was described. The Flatwoods Monster has become part of the local culture, with a sign saying "Welcome to Flatwoods, Home of the Green Monster." Near the town hall, there is a big chair shaped like the creature for anyone to sit in. 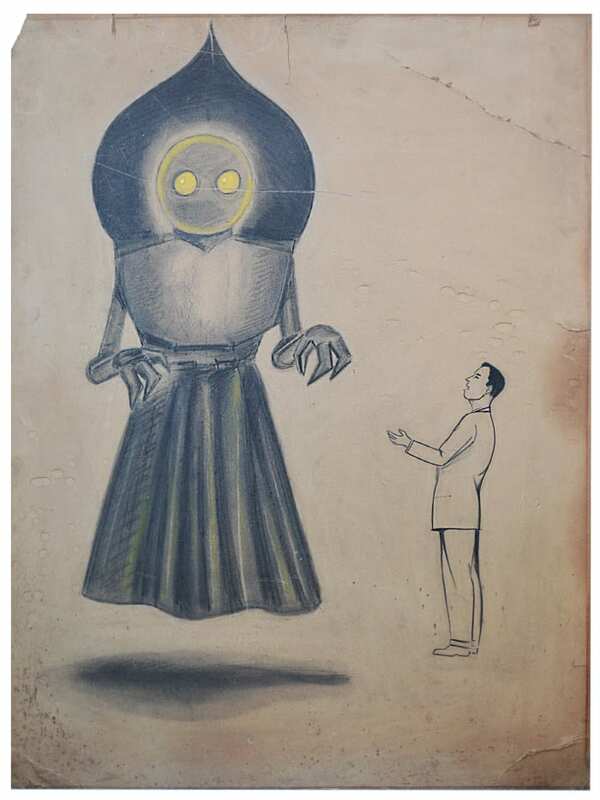 There's even an entire museum dedicated to the Flatwoods Monster. In the video game The Legend of Zelda: Majora's Mask, the creatures called "Them" that attack the Romani Ranch are supposedly inspired by the Flatwoods Monster. Fallout 76 also features a version of the creature. You mean to tell me that it's 1950s West Virginia. We had just wrapped up World War II seven years ago. Millions of men returning home with combat training. You're telling me Eugene had enough time to go in the house and fetch the dog but he didn't go and fetch his M1 or take the Colt 45 out of the dresser drawer. He opted for the flashlight. I'm calling BS. "Eugene there's some sort of plane or alien space invasion goin on over in baileys backyard." "Hold on let me get the flashlight, tell the kids across the street to bring that ol hound Ricky just in case this gets ugly." I wish for once we'd get some undeniable proof. Even a nod from the government saying UFOs are a daily thing on earth. I like its tasteful skirt. Cut below the knee-----------a proper lady reveals nothing. It took me a while to realize that Eugene was only 17 at the time. So. Idk. Rookie I guess. Goddamnit, Eugene you had one job.